While I’m by no means a makeup artist, I am a girl who absolutely loves to play around with makeup. 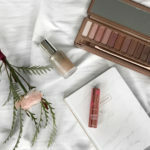 It’s fun to experiment with different eye shadow palates, funky eyeliners and bright lipsticks…but at the end of the day, a gorgeous face of makeup starts with the skin. While I wouldn’t consider my skin to be problematic, it’s definitely not perfect either. If you think I have (close to) perfect skin, it’s because I do a good job of faking it! 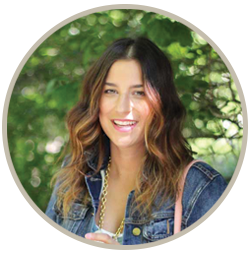 I mix and match a number of different products to achieve a subtle, dewy glow. There’s several products in my arsenal that go into my daily makeup and beauty routine. If you don’t wear a lot of makeup, it may seem like I wear a lot of it…but each product serves an important purpose. It really only takes me a few minutes to apply. Trust me, I don’t have time (or energy) in the morning to spend an hour applying makeup! 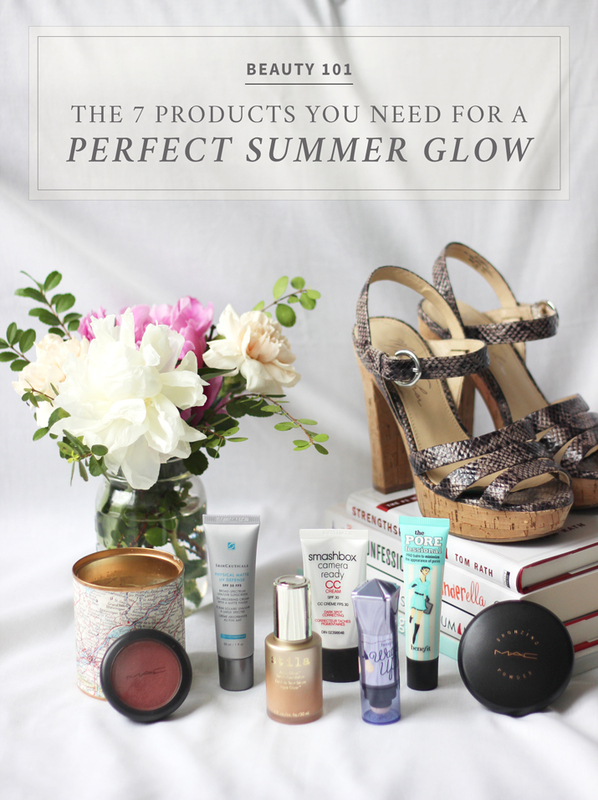 Nonetheless, I my list of summer beauty essentials go on quick and easily. So…today’s post is actually a little bit different, because I’m sharing a stop-motion video I made to illustrate what products I use. Keep in mind, this is my first attempt, so it’s a little…rough. It’s also the first video on my newly created YouTube channel! I learned a lot in the process, and can’t wait to give it another go. 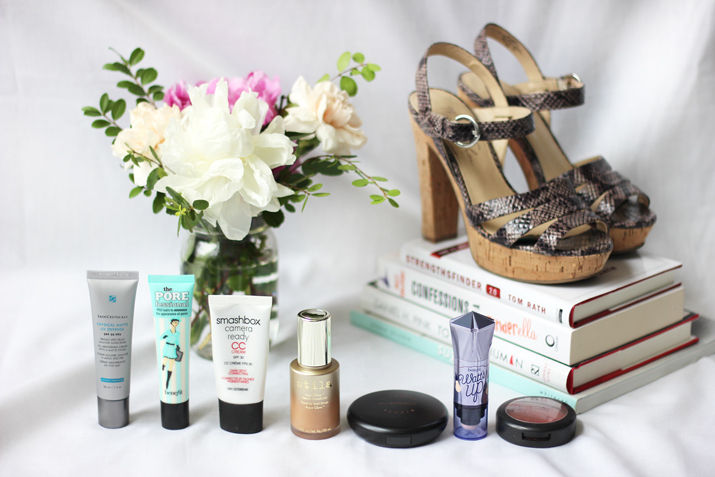 Without further ado, I bring you my round up of summer beauty essentials! Let me know if you have any questions about any of these products and/or what I do with them! Great products! I love those heels! Jackie the video looks awesome! For your first time, you did an amazing job! These are great beauty essentials for the summer. I’ve heard so many great things about Benefit Pore Fessional. Maybe I should try it! Oh no!! I actually fell in love with it after trying a sample. It’s one of the reasons I think it’s so important to try things out before you buy. really love the film you included too! How clever! Your videos are so well done, Jackie! 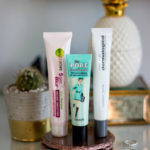 I love all of Benefit’s products, and am excited to try a few others you mentioned! Thanks for sharing!